Digital painting made for "Le Fana de l'Aviation", October 2017 issue dedicated to the first supersonic flight in 1947 by Chuck Yeager. 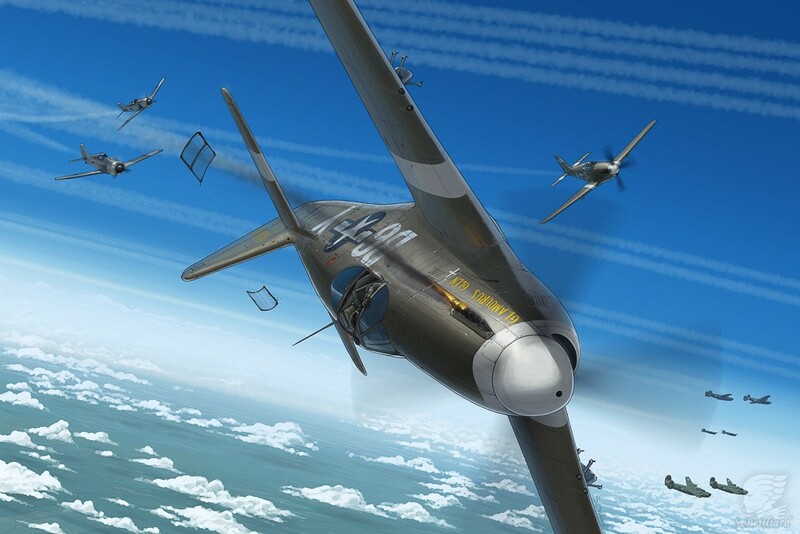 This is representing C.Yeager in march 1944 at the moment he was shot down by a German FW190 while he piloted a North-American P-51B Mustang "Glamorus Glen". Sept 2017.